Spiteri, A. Sultana, J.P. Grima (M. Theuma), P.P. Camilleri (A. Micallef), C. Attard, P. Djorovic, D. Azzopardi, P. Nunez Del Castillo, N. Stojanovic, H. Santa Rosa Cruz, M. Grech. Parnis, F. Apap (L. Grima), J.M. Vella, C. Mercieca, S. Miloskovic, C. Camilleri (A. Mizzi), J. Pace (A. Debrincat), J. Bajada, D. Sowatey, E.A. Da Silva, E.P. Lattes. 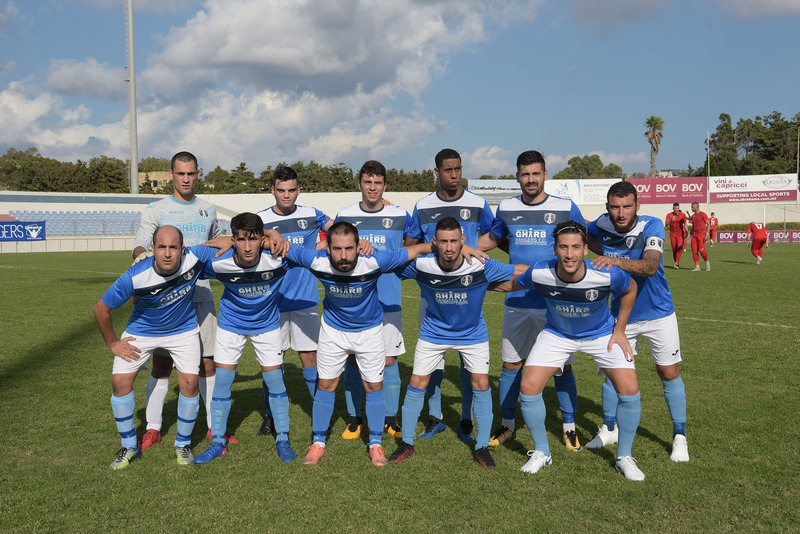 Elton Da Silva scored the third consecutive hat-trick for his side Victoria Hotspurs in the match from Match-Day 3 of the BOV Gozo Football League 2018/2019 against Gharb Rangers so that the Hotspurs kept the perfect start in the championship. The win for the Hotspurs was well deserved as they expressed territorial supremacy for long stretches, scored two goals during crucial moments of the encounter and dominated for most of the second period. Gharb remained in contention for a positive result during the first hour of play as they managed to create some pressure on Victoria’s defense and went also very close to scoring on more than one occasion. However, the Rangers seemed demoralized as time passed by and ended up suffering the superiority of the reigning champions so that the defeat could have easily been with a larger margin. Victoria Hotspurs as expected took command of play and opened the score in the fifth minute through a fine shot by Elton Alexandre Da Silva following a cross from the right by Stanimir Miloskovic. 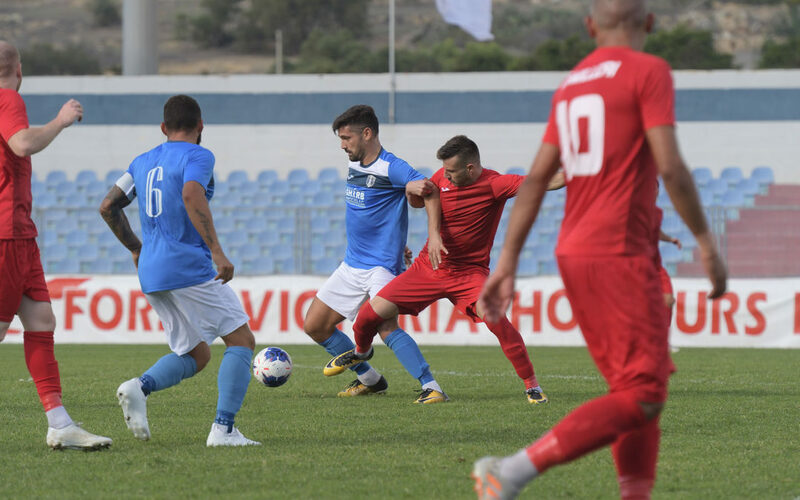 Gharb were not demoralized and on 10 minutes they were dangerous through a strike by Nemanja Stojanovic that was saved to a corner by goalie Adrian Parnis. The match became more interesting as Gharb kept insisting while the Hotspurs operated with dangerous breaks. On 12 minutes the Hotspurs went close to scoring but a header by Daniel Sowatey following a free kick by Chris Camilleri ended just wide. 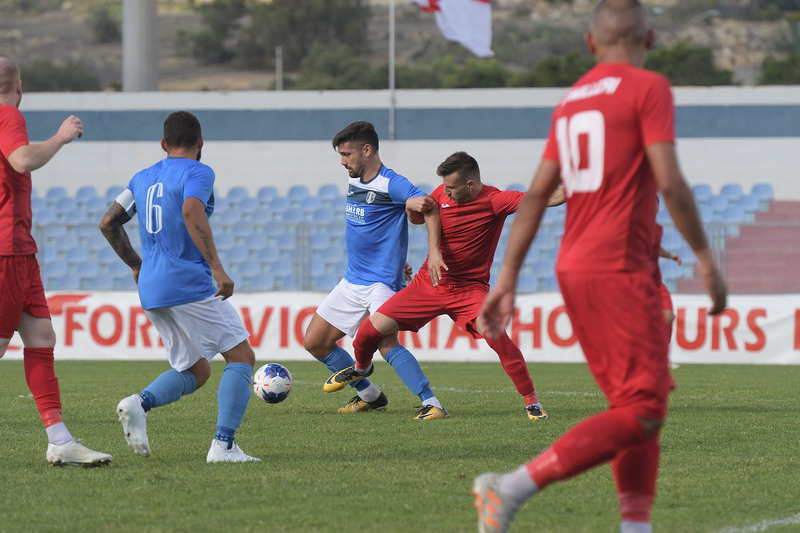 The Hotspurs could have increased their lead on 26 minutes when Ferdinando Apap released Christian Mercieca inside Gharb’s area but the latter had his shot from an ideal position that ended high. On 29 minutes Gharb had a golden scoring opportunity to level the score when Christian Attard entered Victoria’s area, had his shot deflected towards an open goal but Pablo Nunez Del Castillo failed to connect and the action ended in a corner. Gharb were immediately punished for the missed chance and less than a minute later the Hotspurs doubled the score when Elton Alexandre Da Silva won the ball within Gharb’s territory following a wrong clearance by the defense, entered the area, turned around the goalkeeper and fired in goal from close distance. One minute later Gharb could have reduced the score when Nemanja Stojanovic entered Victoria’s territory but his lob aimed towards an open goal ended just over the crossbar. On 39 minutes Gharb were again dangerous through a free kick form long distance by Hugo Santa Rosa Cruz that ended just high and on 43 minutes Gharb re-opened the issue when Hugo Santa Rosa Cruz produced a personal action inside Victoria’s area and placed in goal with a low shot. After the restart play continued to be quite balanced as Gharb continued to produce efforts to level the score. However, as time passed by Victoria managed to impose their superiority and held command of play in an attempt to put their minds at rest by scoring the third goal. The Citizens went very close to scoring on 66 minutes but a shot by Elton Da Silva following a personal action ended on the side of the net. 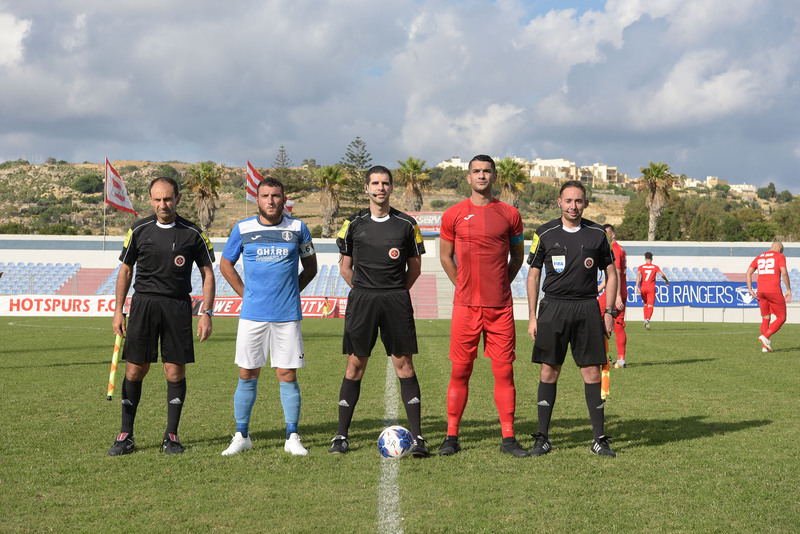 Three minutes later the same Da Silva entered Gharb’s area from the left flank but substitute Andrew Mizzi failed to connect from close distance so that the ball ended wide. On 75 minutes the Hotspurs were awarded a penalty for a foul by Matthew Grech on Stanimir Miloskovic so that Elton Alexandre Da Silva converted form the spot kick to re-establish the two-goal difference and at the same time marked his third personal hat-trick in three consecutive matches. On 90 minutes Gharb could have scored the second goal but a shot from an ideal position by Hugo Santa Rosa Cruz missed the target. The Hot[spurs however could have added another goal in the third minute of stoppage time but a free kick by Christian Mercieca ended just over the crossbar.